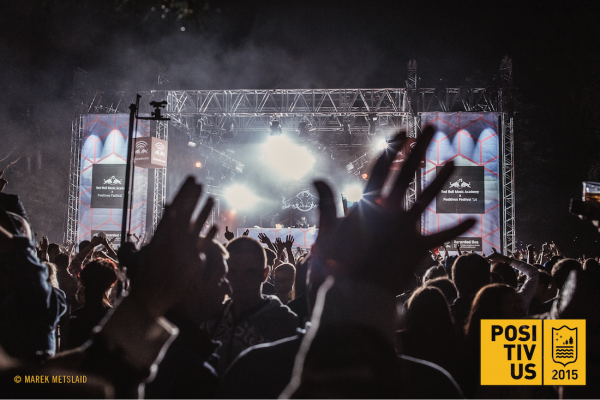 Hottest DJ’s, freshest beats and global club vibes - Positivus Festival’s Red Bull Music Academy stage will have it all! The first Red Bull Music Academy stage line-up will feature the legendary DJ - Egyptian Lover, the up-and-coming DJ and producer AraabMuzik, the eloquently melodic Dorian Concept Trio and U.S. club scene connoisseur DJ Sliink. Rapper, DJ and producer Egyptian Lover is known only to a select few; to others he’s a mysterious and secretive artist who basically created America's West Coast hip-hop scene before it was overtaken by gansta-rap. During the 80’s, the artist set the tones of LA’s wildest parties, with his 1984 album On the Nile being one of the first hip-hop records released in California. His early work is still used in electro DJ sets all around the world. AraabMuzik, real name Abraham Orellana is an American record producer and DJ. His amazing MPC sampler skills transform his sets into unique works of art, making AraabMuzik a real global electronic trendsetter. The self proclaimed 'MVP of the MPC’ uses the Music Production Center (MPC) drum machine to produce rapid, rhythmic drum patterns and creates melodies with samples and other sounds. Dorian Concept Trio is the new project of Austrian producer and multi-instrumentalist Dorian Concept (real name Oliver Thomas Johnson), whose work draws on an eclectic variety of sources including modal and free jazz, funk, hip-hop, and electronic, ambient, and soundscape music. Dorian Concept Trio fuse these genre elements to create a blend of dynamic rhythms and harmonising melodies - an ideal summer festival party set! Aggressive uptempo rhythms with soothing pop and R&B samples gives DJ Sliink extensive appeal across the pop and underground spectrum. The young producer - real name Stacey White, pairs an infinite arsenal of shuffling drum patterns with vocal samples put on loop, mixing elements of pop, house, rap, hip-hop / trap and reggae with his signature blend Of Jersey/Philly/Baltimore Club. The ninth Positivus Festival will take place in Salacgrīva, Latvia from July 17th - 19th and will once again be an event of epic proportions for all quality music and wild party enthusiasts. Along with the newest line-up additions Positivus Festival will also host previously announced acts - Robert Plant and the Sensational Space Shifters, Placebo, Kasabian, Warpaint, St.Vincent, Basement Jaxx, Tom Odell, Jungle, Charli XCX, Lamb, Everything Everything, Fenech-Soler, Jack Garratt, Ewert and the Two Dragons, The Sound Poets, Kate Boy, King Gizzard & The Lizard Wizard, Triana Park, Max Jury, Soak, Peace, East India Youth, Indiana, Tropic, Vök, Jennie Abrahamson, Rangleklods, Public Access T.V., Rival Sons, Ghostpoet, Inokentijs Mārpls, Momend, Laika Suns, Galvanic Elephants, Zebra Island, Super Besse, The Bongo Club, DJ Krankenwagen, Future Folk Orchestra, Parára, The Pink Elephant, Mona de bo, Alise Joste, Matīss Kļaviņš, Würffel, Sibyl Vane un The Werg. More artists to be announced.